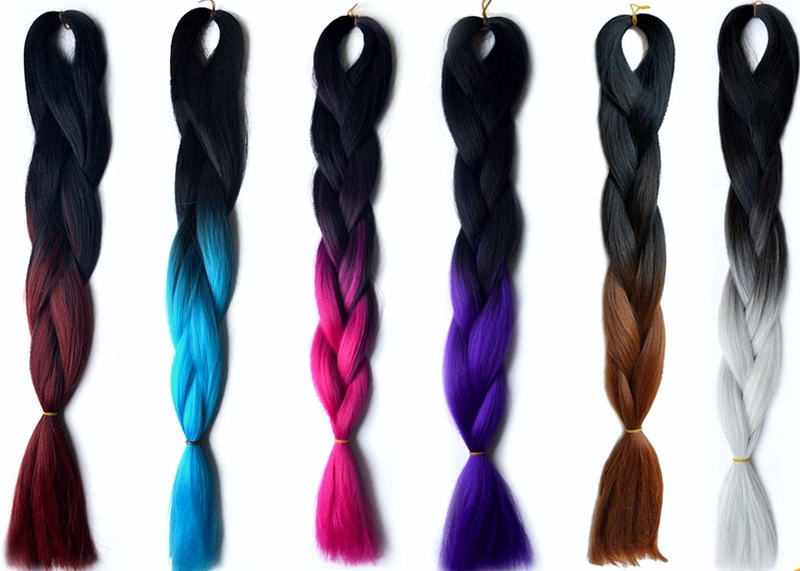 Hair Braiding Extensions - Q&A Washing braids without ruining them. Hair Braiding Extensions Be Washed? "Should you wash hair braiding extensions before you use them?" Quite often we suggest that hair braiding extensions should be washed prior to being used - we find that if you do this, it can reduce itching. A straight forward method is to soak synthetic braiding extensions in a sink of warm water with a capful of Dettol (a disinfectant that can be used for antibacterial skin cleansing). Once the hair has soaked for 15 minutes, rinse several times and allow to dry. Always follow the instructions of the disinfectant product you use and perform a skin patch test to make sure you're not allergic to the cleanser before washing the hair. If it's human hair for braided extensions - the hair can be soaked in a warm water and shampoo solution. 15 minutes later, rinsing takes place and the hair is left to dry - if you're into images then check out the image guide to washing braided hair extensions here. "How do I wash braided hair extensions and how often should I wash them?" How often you choose to wash your braid extensions (and scalp) is entirely dependent on how long you keep your hair in the braid extensions. The best way to wash your braids is to use this method (minus the combing) in the shower if you have one. If you don't have a shower then you can stand in the bath pouring the water over your head and through your braids. The key to keeping your braids neat is to wash often and gently. If you wash your braids often enough, then you won't need to rub or agitate the hair in order for it to be clean; which means they won't become frizzy. Section your braided hair into four parts (two at the front and two at the back) and make four large loose braids. Pour this mixture over each of the four large loose braids making sure your scalp gets wet too. You can do all of them at the same time or just one at a time. Alternatively, you can keep opening and closing your hand (squeezing) your braids at the same time as using your other hand to pour the shampoo and water mix over the large loose braid section. Repeat steps 4 and 5 until you're satisfied the braided hair extensions are clean. Rinse the hair by pouring warm water over each of your large loose braids and scalp as described in steps 4 and 5. Squeeze excess water from the braids and wrap in a towel to dry - you can use a hair dryer but lower heat settings are best and try not to have it too close to your hair (excessive heat can damage your natural growth hair). Use a spray pump filled with your moisturiser of choice and spray the parts of the braid that contain your growth hair. If your braided hair extensions are human hair, then spray the rest of the braids too.